Fresholi Bites: Some Fresholi News! After a bit of an absence, we now have some old faves back in stock. In addition to this, we are adding to our range with a few new arrivals. Babassu - We haven't had babassu in for a little while. To be honest, the prices just seemed to go through the roof and we were waiting (well, hoping) prices would soften a little. Sadly, this didn't seem to be happening. So, we have absorbed as much as we can but unfortunately, the price on this has had a rise a little. Really sorry about that. Organic, Unrefined Shea Butter - There has been a slight delay in getting this back in stock but alas, it is now in. Why not read about how and where this is sourced? Avocado Oil - We also have refined avocado oil back in stock. Organic, organically Refined Shea Butter - Sourced from the very same project in Ghana as the organic, unrefined shea butter, accept this has been filtered and gently refined using Soil Association approved methods (and no chemicals) to produce a much 'cleaner' shea, that has a lower odour and a more lighter, more uniform colour. It is still fairly soft, when compared with our more standard, wild harvested & refined shea butter, so offers much of the same qualities and can be worked with pretty much in the same way and the unrefined version. Best of all, it will be priced the same as our unrefined shea butter, so offers very good value. Fennel Essential Oil - An extremely useful essential oil in skin care. Excellent for dull, tired skins and has a long history of therapeutic applications. 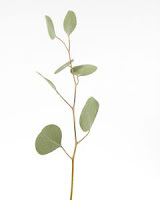 Eucalyptus - Popular in head-clearing blends and has many applications in aromatherapy. A particularly useful oil in blends for colds and flu as well as muscle rubs.